Here kitty, kitty! I just want to meet you...with my teeth! We have had some exciting things going on and here's one I like to highlight. Blaze has a more Husky qualities than any of the other dogs. She is hyper, whiny and has a strong prey drive. It is this prey drive that she can't be around the cats. For the past three years, I have been trying everything my little brain can think of to accumulate her with the cats with very little success. The latest thing I could come up with was putting her in a crate and letting Boxer roam about. Blaze isn't crate train, she will go in one, but has never been closed in one. So my mind kept reeling. Finally it dawned on me to tether her. Bingo! So I found a hook, attached it to the wall in her corner of the room which is also the furthest from the cat's door. I leashed and hooked Blaze with a bag full of cheese and began with simple commands, then we moved on to "leave it." She was so excited with the game and the cheese, she could hardly contain herself! I wondered for a second or two, whether introducing the cat was a good idea because she was so excited, but I had to at least feel it out. So I made her sit, while I opened the door to the cats room. That got her attention. She was on complete alert, but in an happy way. She doesn't show any signs of being aggressive, but being an avid hunter, her play would be quite rough and serious for the cats. Don't worry, I've got this dog thing covered! As Boxer began to stir around, I kept telling Blaze to sit. She was so focused on the doorway, that I had to gently raise her muzzle to get her to sit. Click and reward. She took the cheese!! I couldn't believe it!! Food means nothing when there are cats around. So this was a BIG plus. Well, you would have thought that Boxer and I had rehearsed all of this the night before. Boxer came to the doorway, staying behind the threshold and stayed there. They both looked at each other, Blaze's body was wiggling like crazy, with her eyes locked on the cat. I continued to make her sit and she still took the cheese. This was fantastic!! After a few minutes, Boxer began grooming himself, not paying any attention, and when I told her to sit again, she actually turned, faced me and sat. I about fell over. This was better than I could have expected. Let's try again, Mom. This time without the leash!! That's when Boxer took his cue and went back in his room and Blaze's excitement began to reach it's peak. So I realized, I needed to wrap this up before she started bouncing off the walls. I told her to sit and stay while I closed the door, then took a few more minutes of praise and simple commands before letting her off the leash. Success!! I thought for sure that her first instinct would be to go to the cat's door and investigate, but instead she followed me around while I was doing happy dances and singing praises to her. Another big surprise! It was simply awesome!! It helped that Blaze's intensity with the cats has died down this past year and both parties are becoming more curious about each other. I was quite impressed with the entire experience. Little by little we can take things a step further. 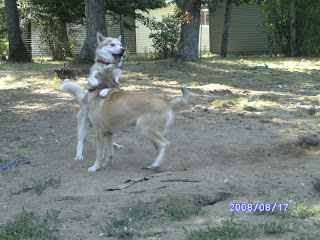 And who knows, Blaze and Boxer may become the best dog and cat friends that a little hyper Husky could ask for! Dreams are not impossible. They just take time and a whole lot of cheese! Did she just say dreams are made of cheese?? The other day I was keeping Brut company while he had breakfast and I was looking at our homemade crates that were in the corner for Fiona and Zappa. 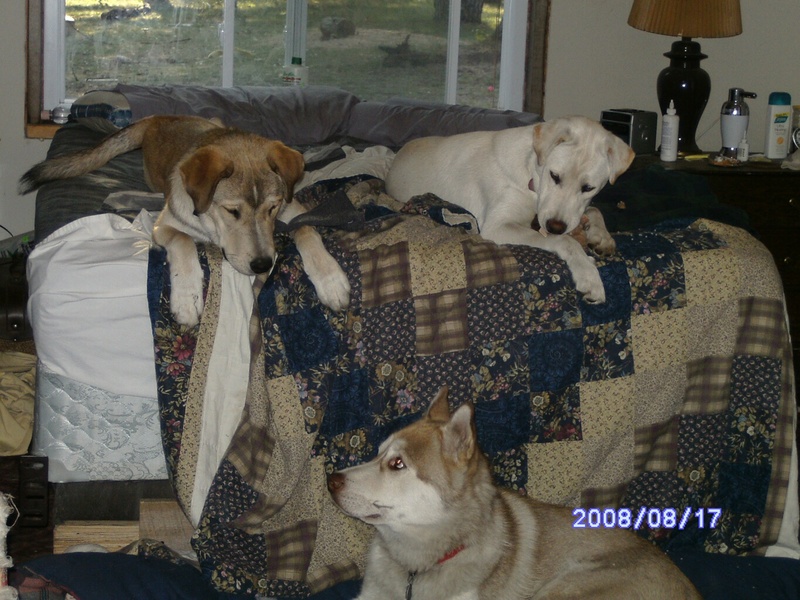 They are in the same corner that the whelping bed was in, but half of the size. The whelping bed took up the whole corner of our bedroom. We had two chairs in front of it and it was a tight fit. As I waited for Brut to finish I thought of the I countless hours I spent sitting in this same chair, in complete awe of those newborns that were born almost four years ago. My husband is the photo hound out of the two of us. He was constantly snapping pictures and running the video when he was around. I couldn't understand it at the time. I was in shock and awe of these miracles of life, I just sat absorbing every living, breathing moment as it happened. For those first three days, I never left Silver and those ten gifts of life, only dozing for a moment or two when they slept. 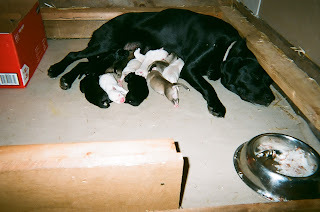 Besides needing to make sure Silver didn't lay on any of her little ones, I was in entranced with those new lives that were before me and the care of a new mom. As I would guess from anyone who has witness the miracle of birth, I found myself in a stunned silence as I drank in the wonder and beauty of this event that had happened before my eyes and had touched with my own hands. Their cries were like angels singing as we welcomed each one in the world and was a constant sign of life within. And I just couldn't pull myself away to stop the moment for a quick snap. I couldn't even conceive that a particular moment should be caught in time. I mean, how do you capture a living miracle? Already changing and growing before your eyes? How do you stop time forever as it evolves in your hands? I couldn't. I was mesmerize. Do you think you could find that perfect moment in time? Our little miracles of life. Just over 24 hours old. 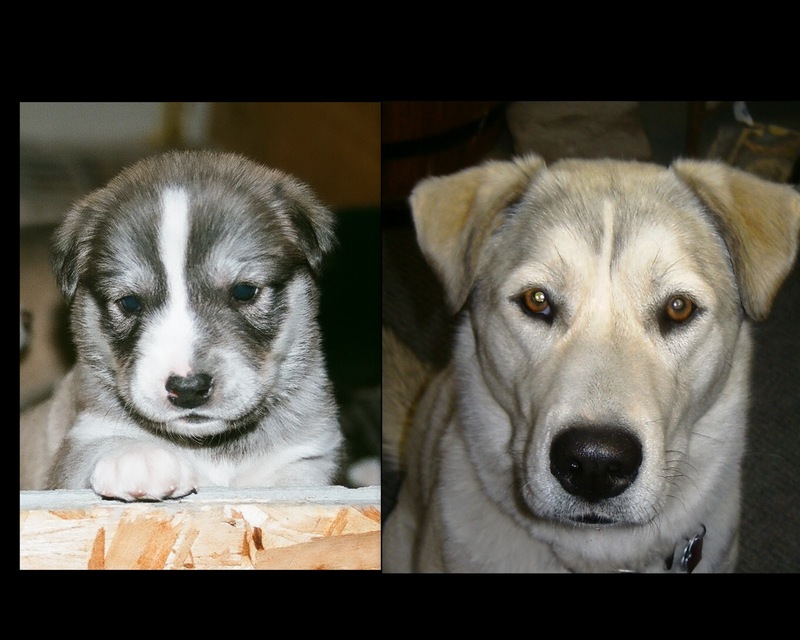 I etched every moment I could to memory but as the puppies grew that time period became a puppy blur. It wasn't until some time later that I began to appreciate all the photos and hours of video that my husband took. But those first few days are still deeply imprinted and can still flood my thoughts even while accompany Brut, about the miracle of life that happened right there in that little spot in the corner of our bedroom. I never once realized the impact that blogging was going to have on my life. I never once thought my heart could be captured by dogs other than my own. And I had no idea how hard it would hit me, grieving for dogs that have passed on. Dogs I've only seen on my screen that I have never touched or looked into their eyes. There is a loss I didn't expect and a sadness that I feel wandering around in blogland. Blogging has become more than just writing about our dogs. I have been in my own personal grief for some time and I had no idea that being part of this dog community that I would be hit so hard with the deaths of dogs that I would read about every day. It is hard enough to lose your own beloved canine, I didn't expect to grieve with others over theirs or how close to home it would hit. So many times, I find myself not knowing what to say. I have fallen silent as I read your blogs and find I have no words to add. Right now, I find myself just absorbing what is happening in your lives and just feeling blessed to be able to read your stories. Connecting, being. And in this time of quiet for me, I just wanted to let you know I am here. I am reading and listening and soaking in all the doggie love you provide. On this weekend of thanks, I want to thank you, our doggie blogging friends for just being there. Whether you post, read or comment. My husband and I thank you for being part of our world and letting us be part of yours. The gifts we have been given has been invaluable. From helpful suggestions, to encouraging support, to those humorous perspectives that we still laugh about to this day. I could write endlessly on the gratitude I have with my dogs. What their lives mean to me and all they have given, but it is nothing compared to experiencing the death of another dog that puts your whole world in perspective. Those extra few minutes a day to take the time with these precious creatures, will never be enough to thank them for who they are. For you and for me. Give all your loved ones an extra squeeze, every day, you never know when you might again. 5 years ago today, the heaven's shook and broke loose this little bad boy puppy. Who with his fierce passion rocked our world apart the only way he could. By stealing my heart and saving my soul. Which makes me wonder, who really got who? Hard to believe it has been 5 years since that little monster entered our world and changed everything we thought we knew about dogs-and then some. On an important note, Mel from No Dog About It Blog, foster dog Lady is missing. We would like to help spread the word. Please visit No Dog About Blog HERE to see how you can help. It is a fear we all face and can happen to any of us. So please stop by, I'm sure Mel will appreciate the comfort and support. Paws Crossed for Lady's safe return. It's picture time!! And we have an interesting theme for today's post. Color changes. The three Husky-looking pups, were in a state of constantly changing colors and Blaze took on the most dramatic effect that we were able to record. 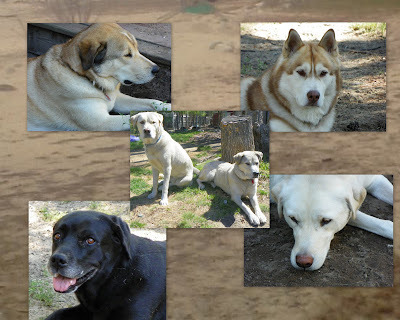 The 3 Huskies-looking ones that are on the right end, all started rather dark. (from l to r) Zappa, Grumpy and Blaze on the end. Zappa carried a red tone while Blaze had a silver-grey tone. This pic is at about 4 days old. This is Zappa (left) and Blaze (right). In this pic, at 6 days old, they look like twins. You can see how the grey undertones are starting and that her fur is beginning to lighten from the heavy grey in first pic. This is at three weeks old and she has turned to a silver -grey. She still has the rust color on the top of her head and ears. From 6-8 weeks, this is how we remembered her before she left with her new family. A soft blend of greys, rust and cream colors. So when we visited her at 4 mos. old, this was the shock we had! She had lightened into this cream color as the dark greys around the face were beginning to fade. 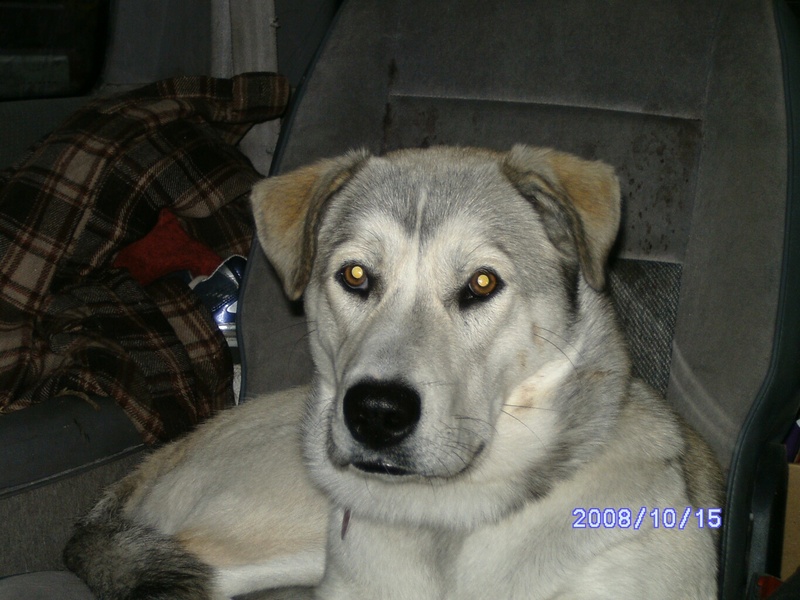 While the "blaze" on her nose was swept away into her white muzzle. The grey's had softened and filled in around the face and neck while her ears took a little darker in the rust color when she came back home to live with us at 7 months old. And here she is today. You can see the reddish-orange mixed with that luscious golden color and the gentle grey that still frames her face. Depending on the light she can seem to sparkle with a hidden rainbow of colors or while in the shadows the grey undertones give the appearance of being a dirty off-white. Have you ever witnessed such a dramatic change in color of your puppy as they grew? Interesting!! Your comments from yesterday post regarding how to stop a fight in progress were great! My husband and I love the collection of ideas and a different perspective. To find out what we are talking about, you can check yesterday's post HERE. I was thinking along the lines of noise. I'd forgotten about the pennies in the can! Thanks Jen from My Brown Newfies and Five Sibes Mom. Hubby was excited about that one. Using a spray bottle was also mentioned by Houndstooth, White Dog Army and Cooking with Dogs. I was equally impressed with those that talk about options to help with Brut guarding hubby and better ways to handle those peak times. Thanks, Jen from The Elka Almanac and Kooetenai's Summit Post. We will be pondering them over for the next few days and give you an update. I think for starters, we will get a the shake can ready and make sure Brut has undisturbed first dibs with Daddy when he comes home. Thank you for giving us hope and for not having to do this alone. I don't know if we will find the trainer we need, but just having all of you jump in and sharing has made more of a difference than we can ever write on our little blog. Thank you taking the time and and your help. We have never been close to giving up, but it so much more easier and fun when others are there lifting you up. We can never thank you enough. I would personally like to thank everyone. As long as no one suggested that I had to get off the couch!! Stayed tuned for progress updates!! What a difference just "talking" things out can make. Being able to sort through the last three days help to clear the air for what sparked all this trainer talk and not knowing what to do. Your comments and thoughts have been greatly appreciated and well received. 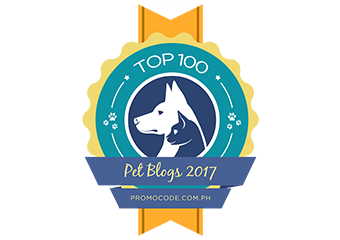 We can't thank you enough for this great dog blogging community. OK, so I've told you of my experience with the trainer, and the aftermath, and what lead to my phone conversation with the trainer and know that it has to do with Brut and his aggressive nature. Here's where you come in: How do you stop a dog fight that is already in progress? I need some new ideas for my husband because well, frankly, he is just too inexperienced with dogs to handle these kinds of circumstances and he doesn't understand most of the body language and such to interpret what is happening. I read a post by Jen on My Brown Newfies about using a small fog horn and we bought a couple. We think they are a great idea for outside, but we really need something for in the house. 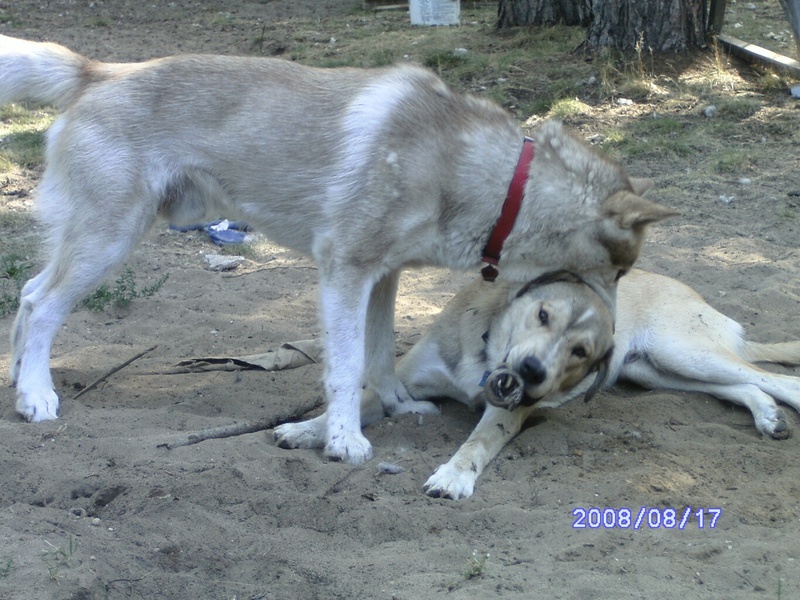 Brut's aggression tends to come in waves and are triggered off more when my husband is around. Behavior changes for Brut or hubby are out. If I haven't changed him in all these years, I don't think anyone else is going to. BOL! Hubby also tends to think of the dogs as big puppies and is horrible still learning about discipline. So I'm looking for a tactic, technique, tool, something that you might teach a child, first time dog owner that is simple, but yet effective to break up a fight. The two trigger points of time are when my husband first comes home and while watching TV after snack time. Brut's possessiveness of Daddy can be pretty strong. Zappa is always the main target. I think we have went for the last 6-8 months with only a few minor confrontations until his aggression flared up again these past few weeks. We found the cause (something I'll explain in a later post) and for the most part things are dying down, but I'm looking to prepare for the next time. I have come up with a few ideas, but I would like to hear yours first. I will say that calling Brut's name doesn't work, it is like a "attack" signal for him. So what have you heard, read, seen, tried, didn't try, learned or just thought of that you have found or seen that works. We are open to all suggestions, under the guise of course it isn't hurtful to the dogs. For those of you concerned, the fights that do occur, I take serious, but they are not dangerous. 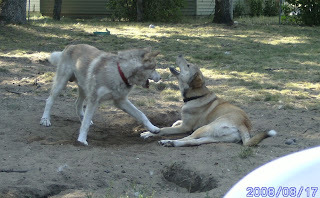 They are like an extreme case of "bitey face" or challenge or an over exaggeration of a "correction" if you will. 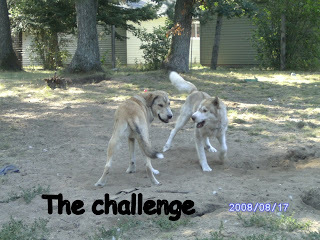 None of the dogs have ever had more than a scratch and those have been few and far between, like many of these kinds of fights. Thanks for sticking through this with us. We look forward to your ideas. So if you've been following for the last couple of days (first post and second post, thank you, and hold on because I'm not just taking a trip down memory lane regarding Brut and our behaviorist experience. I am trying to sort myself out and back up and regroup to try and deal with a current dilemma I am in. Which I will share tomorrow. Thank you so much for everyone's comments and support. It makes a difference. The scene: We only have the Back Dogs at this time, Brut, Silver, Zappa and Fiona. Enter: Blaze. 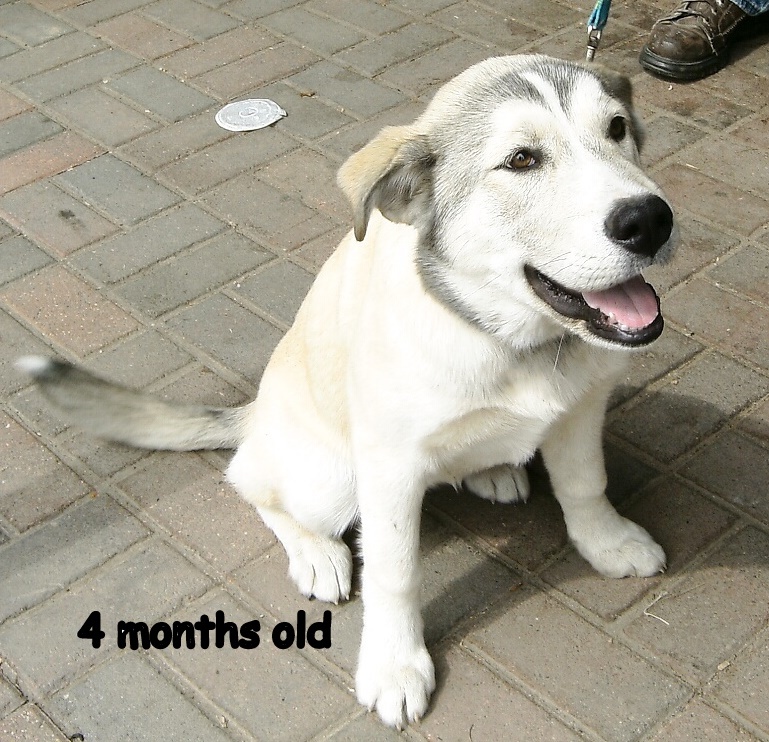 A puppy from our litter who was returned to us at about 7 months old. Abused and neglected. We tried a few different times to introduce the Back Dogs with Blaze. They would not accept her. I looked for anything online to help with intro. Nothing seemed to work. I finally broke down and called a trainer for any suggestions, advice, techniques, methods, anything that might help. I explained the situation. Four dogs, A mother (Silver), father (Brut), and two of their pups (Zappa and Fiona), trying to introduce another pup (Blaze) from same litter. Father has dog aggression issues and tension between him and his son was increasing. When he told me I would have to bring all the dogs in for an evaluation, I half gasped and chuckled, while telling him I've never had all the dogs in the same car. You could hear him shake his head as he said, I know. He had heard this story way too many times. The weariness of this trainer said he'd been through the ringer of dog owners like me in desperate situations they had created due to lack of education. I was only one of many he had encounter and his hopelessness of the situation was ladled through his every word. The guy sounded exasperated and worn as he went on to explain that when aggressive dogs reach the age of 2-3 years, there is a physiological change. Meaning the aggression wasn't going to stop. He saw no way out of the inevitable. The dogs were going to fight. He told me I didn't know what I was getting into. His exact words. And his best solution was to get rid of the puppies and just keep the father and mother. That was how our conversation ended. I sat for a minute after hanging up the phone, soaking in his words as a smile began to spread across my face. I felt the hope rise within me as I replayed the conversation in my head. I didn't know what I was getting into? I'd been "in it" since I'd brought Brut home showing signs of problems at a very early age. Getting rid of any of the dogs was not and would never be an option. I almost jumped out of chair in glee as I ran to relay the hopelessness this trainer had displayed and the outcome of it all to my husband. This trainer had given up. Long before I called. I was no where near the bleakness he was in. I have had my moments, but I hadn't given up. I still had hope. I saw possibilities. And talking to that trainer helped in blowing those doors wide open! I still draw strength from my talk with that trainer. I don't know how another person might have taken it if he told them there was no hope except to get rid of a dog or two, but I couldn't have disagreed more. He was an excellent gauge into where my belief, hope and strength were. My husband and I had been running this show on my own this long and had yet to give up and somehow he gave us even more reason to believe that we were doing the right thing with our dogs and that we would find a way to make it work. Whatever that took. And with that knowledge that is just what we have done. Needless to say, my husband and I have fumbled with all kinds of brainstorming and ideas. Like a couple of kids running away from home and trying to make it on their own. Yeah, we don't follow too many of the normal rules, have our own way of doing things, but somehow, someway we found a way to make it all work. Do the Brut and Zappa still fight? Yes, they have their moments and confrontations, but they are no where near what they used to be. Is it tough? Yes, it is the toughest, tiring job I've ever had. Are their any rewards? Millions. We have the 24 Paws of Love made up of the awesome Back Dogs and Front Dogs. Would you do it all over again? Absolutely. Tomorrow, I'll share my dilemma that lead up to this purge. This is our first time in our dog owning life that we feel like we have people who care and support us, so we would like to extent our trust to you for your suggestions and ideas. Brainstorm with us. We are looking forward to hearing your thoughts. See you then! After telling my tale with an enlightened perspective about our experience with the dog behaviorist that I took Brut to for his aggression with dogs, I found myself reliving the fear that came after. Like opening an old emotional wound that didn't properly heal. If you missed yesterday's post, you can read it here. For some reason this experience and another I encountered with a trainer have been weighing heavy on my mind lately. I just need to get them off my chest and get them out of my system in the next couple of days. When I left the dog behaviorist office with Brut , I was in a complete state of shock and gripped with fear. While trying to process what happened in that room between her, us and Brut, I was frightened. My mind could not to begin to comprehend what had just happened and worse still, I was leaving with every problem I had came in with and then some. I still didn't know what to do with Brut. I had no new method or technique and no ideas. Nothing. I felt isolated. I felt like I lost more than I gained. She claimed she was the female "Dog Whisperer." She based her theories on dog pack leadership and clicker training. Two things I was already doing that were only getting me so far. I was still crying in desperation for HELP. I was scared, hurt and angry. I'd entrusted ourselves and Brut to this woman who was a last resort and I left feeling tore upside and down. I was lost and alone and felt there was no where I could turn. 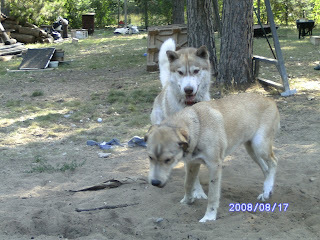 I didn't care if Brut was friendly with every dog he met, I needed help with our little pack. And I have been carrying that fear around for some time now. After a good long talk with a friend who'd actually kicked a trainer in the nuts because he kicked her dog, somehow, someway, I began to put back the pieces of this shattered mess. Number one, I began to learn to trust my instincts. I looked on line for anything and everything I could find about dogs-on-dog aggression. And while most of the info was limited due to liability, through my own observations and trial-n-error, we made it through the most difficult time period of Brut's aggression with the other dogs. Yes, I've made several mistakes, but each one of them gave me another piece of the puzzle to build from. Having no other options, I had to dig deep to find the answers. And through this whole process I learned how to trust myself and believe in my capabilities. I just had to. And while I have grown and healed through many things working with dogs and being more in tune with them, I hadn't realized until writing that last post how much my actions, thoughts and behavior have been based on that past fear that I left that session with. Makes me wonder how many others left there feeling the same way being at our most vulnerable and needing help. The sad thing was I didn't realize the impression she made on me and trusting another human with our dogs. One thing I did learn out of all of this, is that if I ever did seek out another trainer, I would visit them first without the dog and discuss everything out in the open. I don't ever want to get caught in the dark like that again. Tomorrow I tell you about the trainer I talked with over the phone, who made me believe in myself again. Kristine from Rescue Insanity wrote a post about "How To Find a Good Dog Trainer." As I read her post, I began reflecting back on our one and only experience with a claimed dog behaviorist that we took Brut to, for help with his dog aggressive issues. Here are some examples from our one time session. Trust Your Gut-When I look back at the entire experience, the first red flag was when I went on this behaviorist website, I didn't feel comfortable at all. I had a bad feeling right from the start. Our options were limited in such a rural area and I was desperate. I had to do something and I was willing to give her the benefit of doubt before casting her out. Helping or Selling?-The second red flag was that she was more focused on selling herself and what she could do with our dog and what we couldn't. Hence the reason we were there. It was if she was giving a performance so that we would buy her product, herself. There was little, if any communication between her and us as she focus all her energy trying to control Brut. I guess so that we would be in awe and wonder. She didn't take any time in getting know Brut or relating to us. She concentrated heavily on trying to "get Brut under her control." She never succeeded. Brut was a little too smart for her and he played with her quite teasingly. 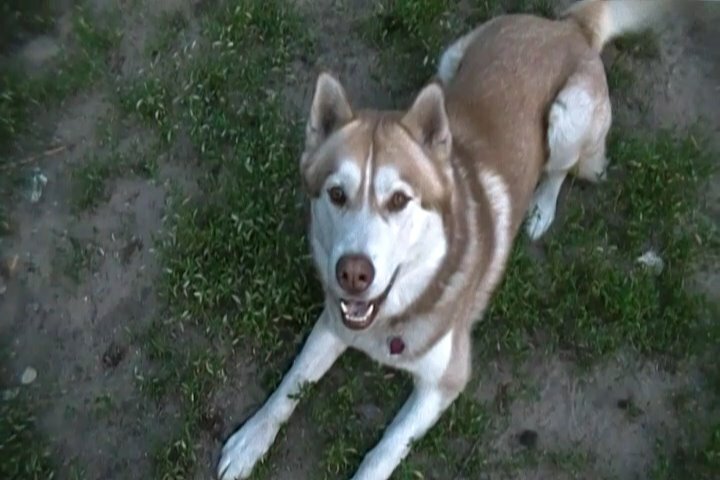 This behaviorist claimed she had owned Huskies before, yet none of her actions displayed the amount of respect that Huskies demand being such an independent breed. 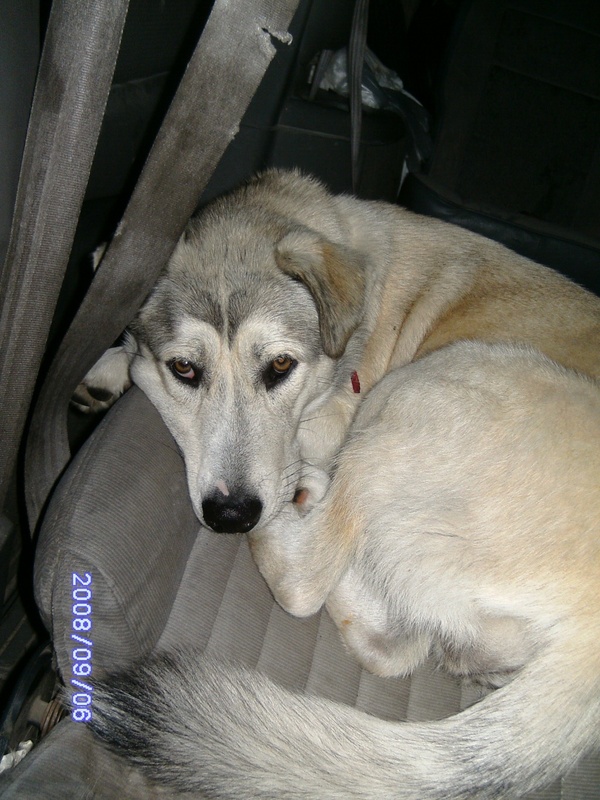 How is the Behaviorist Behavior?-She was rather high strung and nervous and seemed a bit flighty. Not what I would expect from a trainer who is taking on a strange aggressive dog. She also tended to blow us off, as if neither of us had any idea what we were talking about when it came to our our dog. It seemed her entire goal was to "calm" Brut by any means possible to "get control of him". Mostly with calming sprays. The couple of times my husband got a business call and left the room she doused Brut with sprays. She did this with the notion if she could calm Brut she could convince my husband of her services. (another ploy to sell her "product") What she failed to recognize was even though I was one that had made the desperate call, I was the one who had to be convinced. The more she seemed to lose control the harder she tried to get it and ultimately became her entire focus for our session. Always trust your gut. Or at least me. Methods? Training Techniques? Do They Explain Everything?-Near the end of our stay Brut was quietly sleeping at our feet while we were talking, this is when she proceeded to kick him. I believe she was testing to see if he would react. It was so swift and silent, I almost wasn't sure if it had happened. After all of the pages and pages she had me fill out on his background, she had kicked him without any prior consent, no explanation and we were such a state of shock, neither of us knew what to do. It seemed as I look back throughout that entire session she was doing everything to push his buttons and force him to react. Something that was definitely not stated anywhere in our agreement or as part of her methods. She also made Brut sounds as if was in a worse state of mind than what we had stated. Yes, I know he isn't the ideal dog, but I also know when I filled out that questionnaire Brut was in much better shape than most of the examples that were given. And while I disagreed with her methods, I understand some of what she was trying to show, like how far a stranger could push Brut before he would snap. I was quite disgusted that we were not informed on any of her methods or how she went about testing him. Not when we spoke over the phone, not in her agreement, nothing on her website and not while she was trying out all her tricks on Brut. Nothing. Not one word. We were just spectators. Being that this was our first time ever going to anyone on the outside for help, we were totally clueless if this was how things were suppose to go or not. How Does Your Dog React To Them?-And how did the all mighty Brut handled this extreme encounter? Like a champ. Number one, he was too smart for her games. He was in no way going to let her have any control over him and so he played the cat and mouse game with her. Just enough to show he had the control but just enough to keep her guessing. I have no idea if he open his eyes when she kicked him, but he didn't even flinch. In her efforts, she never did "get him under control" which is why I think she pushed the envelope with kicking him. He was hyper, maybe a little high strung, but only lost his composure once, when he jumped in her face. Just try to mess with me!! I have been up in the air about whether to keep "Monday Memories (1)" going. Where we take a little trip down memory lane of living with our animals. I have been wondering if it is worth keeping and if you, the readers still enjoy it. While flipping through all the hundreds of pictures for an idea for this weeks post, I came across this one and my heart stopped. This is Chance. 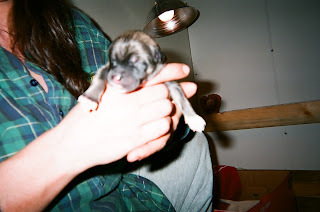 At three weeks old. Eyes and ears open and just starting to get the feel of those clumsy big paws. We took single shots of all ten puppies on this blue blanket when they were three weeks old. Chance took the sweetest and cutest photo out of all them. And I don't remember it. I don't remember taking this particular shot nor the actual photo. I still never saw it. 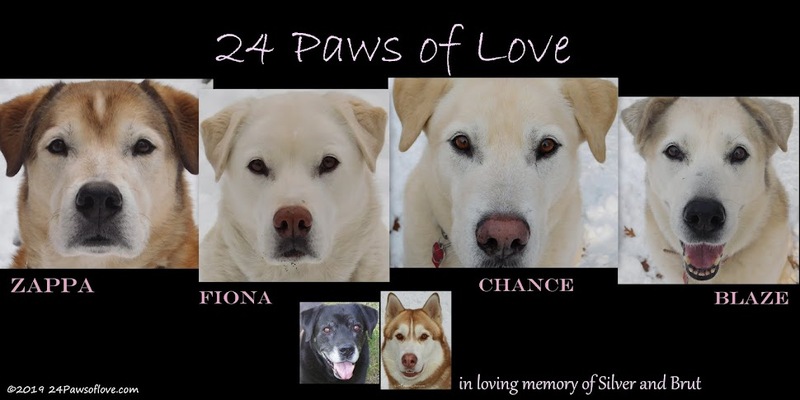 And that's when I realized how precious "Monday Memories (2)" is to the 24 Paws of Love and our lives. and then share them with you. Or the opportunity to let him shine. If you don't know Rusty of The Thundering Herd is a big fan of big machinery. Well the 24 Paws of Love couldn't help but think of Rusty when they found out they were going to have one big tractor in their backyard!! And look what else, SNOW!! Brut-Hey Rusty, check it out! Zappa-Are you sure he's not going to plow me down? Chance-Imagine riding in this BIG RED TRUCK!! Fiona-Rusty, I've been watching all day and I can't understand all the excitement. It must be a GUY thing!! It isn't always easy to turn the reins over to your dog. Though I have done it several times,(here), contrary to how it may seem, I don't let go very easy. It takes some convincing, especially when I am having an inner conflict with my emotions and feelings that I am trying to keep at bay. It is hard enough for me to trust as it is, but giving a canine full control can be scary. I always question whether I am reading the dog's signals right or if my emotional state has compromised my judgement. I flounder with the idea because, whether I let go or not, I am still responsible for my dog and have a fear of not regaining control when I need to. What may feel like a giving up of control is actually a trust exercise of being lead by my dog as we work through this together. The first thing I noticed when I started walking Chance was that he was in "drive or pull" mode. Dead on. Straight forward. He wasn't lunging or veering just intent on moving forward. My walk wasn't quick enough for him and I felt him urge me on, but I held back. We squabbled a bit. I just couldn't let go of what I was holding so close to my heart. I was scared to trust at that moment. And while it had little to do with Chance, who has never let me down, the fear was strong. He gently pulled, I began to jog, hoping to satisfy his need. To my surprise he challenged my pace. All the while encouraging me to do what I thought I could not. As I felt my trust seep through the leash into his paws, my speed increased and I felt the trust returned. He matched my pace. We continued to build on that foundation until the next thing I knew we were both running. Legs flying, the pressure in my chest broke as the giggles burst through only to be greeted with Chance's crazy, wide grin glancing back. When I thought my lungs would burst, I slowed him down. And we did it again and again riding on the freedom of our spirits. I gave my trust. Chance nurtured me through. My pace became his pace. Bit by bit. He understood what I needed. He guided with love. I gave my faith that he would show me. And as a trusting friend, Chance helped me do what I could not do on my own, Let Go.